Abaco Machines International Pty Ltd was established in 1995, with our head office and warehouse located in Sydney, Australia. We specialize in manufacturing and supplying small cutting machines and lifting equipment for stone industry throughout the world. 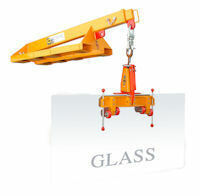 Our product variations include Abaco lifter, tile saw, dehydrator, forklift jib, site saw . . . . . . 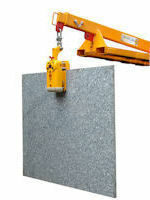 In 1998, we introduced an Abaco Lifter, a fine, unique lifting equipment specially for handling all kinds of material in slab or sheet form. Since then Abaco Lifter became one of the popular products for marble and granite industry in the world. We however never stop continuing to refine and to improve our products to cater our customer's needs and requirement. As the result, we are now proudly introducing a New type of Abaco Lifter, a high quality and performance lifter with the combination of all features such as strong, safe and versatile for the Glass Industry. Abaco Machines International Pty Ltd fundamental goal is to build and maintain a worthy relationship with our clients by providing them with high quality products at affordable prices and timely delivery. We are dedicated to servicing our customers in Australia and through out the World to their fullest satisfaction.